smartphenom.com: How can Mobile Technology help in detecting and treating mental illness? How can Mobile Technology help in detecting and treating mental illness? Technology has the potential to do a lot! It can make significant and cost-effective contributions to the detection and treatment of mental health issues. Mental healthcare is often overlooked, neglected, and disparaged. According to research countries like America and Britain spend an average of £26.71 per capita on mental healthcare. However, under-treatment is considerably higher in poor countries where on an average just 1 in 10 sufferers receive treatment. You heard it right! The smartphones and other smart mobile devices are helping in the diagnosis, monitoring, and therapies of mental illness. According to researchers at the Oxford, SMS and voice-calls are being used to assess mental health status. In addition to that, mobile devices are being extensively used to deliver speech therapies. Smartphones can also stimulate behavioural change. With the help of a wide range of capacities and sensors like GPS, camera, and accelerometers, it is possible to generate smarter interventions and richer data. Smartphones also help in arranging for doctor’s appointments. In addition to that you can use smartphones to check medical insurance benefits that you can claim in case of mental illness. Smartphones let you do all these and lots more without putting your personal data at risk. 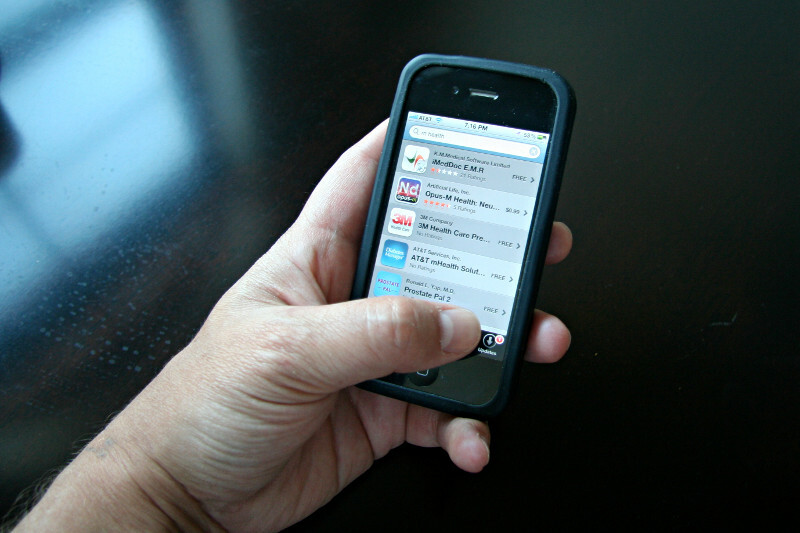 According to a study on a series of mobile apps aimed at users who are struggling with depression, substance abuse, and anxiety (published in the Journal of Medical Internet Research) – There is a “significant reduction” in the symptoms of people who used the apps, concluding that mental health apps have the potential to be effective and may significantly improve treatment accessibility. However, the majority of apps that are currently available lack scientific evidence about their efficacy." Recent studies show that mobile games are effective in correcting mental distortions. Preciously engineered exercises can train a brain with schizophrenia or an aging brain. A mentally ill brain can rewire itself and can gradually lead to a better information processing and behaviour. Generally, such brain-training exercises do not look like hard things to do. Rather, they are embedded in a game-like wrapper and delivered to patients using interactive technology. Remember, there is always time before a person hears voices or has impulsive suicidal tendencies. That is where the mind-training games and applications intervene. Such technologies help young patients at high risk of illness too. So, smart technology should be used to prevent chronic mental illness before patients experience frightening symptoms. It’s not long before smartphones will be able to deduce human emotional state by assessing tone of voice and social interactions. Mobile technology on wearable devices will be able to gather information on a range of factors on mental health. Data gathered by such devices might include sleep quality, galvanic skin response, and patient’s cardiovascular status. Mobile devices will enable highly-personalised treatments and granular, smart monitoring in near future! True, that mobile technology has a lot of potential, a majority of what is still remain uncultivated. However we need to develop a better idea of exactly how should mobile-based technology should be used to integrate this technology into the existing treatment practices and diagnostic techniques. Author: Amelia is a program manager with a well-known NGO working for orphaned children. She is also doing a research on the potentialities of an English dictionary app in inducing language learning among young people. She loves to spread happiness all around her with her actions.